Backpack & Explore is a journal of an analyst by profession whose heart lies in writing and traveling. Yes, that’s me, a next-door Indian woman with a career in the corporate and a novice homemaker who still burns her food sometimes. It took my husband and me some time to figure out that it is possible to keep the wanderlust soul alive even while managing our responsibilities. That’s why we write for people like us. We write from our personal experience, we share our travel stories, our wins, and our losses. 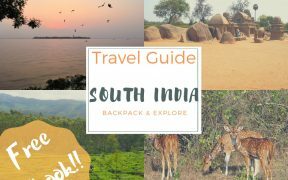 Our travel guides cater to common people, how to optimize your travel in the budget and get the best out of it. Like us? Lets stay connected!